Hey. My name is Ross! Some call me Michael. I make custom LEGO minifigures inspired by movies, shows, and games that I love. It's super niche, but this has been my passion since I was 9 years old, and I've never stopped. Showcasing the work I do on YouTube, reviewing LEGO sets, and most importantly, interacting with so many amazing, creatives out there who are just like me is the reason I sit down and work on these little guys for an ungodly number of hours. Your donations will allow me to keep doing this into the far future. 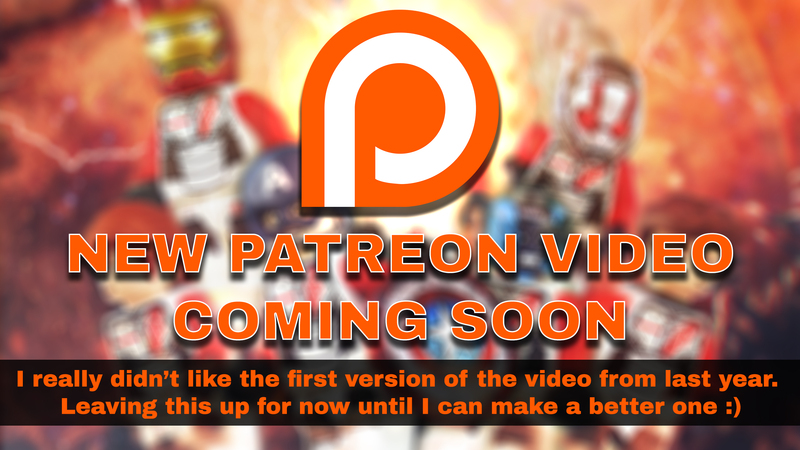 I will be able to post content more consistently, and maintain a wider variety of videos. This way, I can devote even more time to all of you beyond just Showcases, Reviews, & Vlogs. The dream is to one day be able to do this full time. Like any artist! Please don't feel obligated to join. Just you reading this is already everything, and all custom minifigures I create make their way to my other pages eventually. Donating just means you'll be the first to see each one as I make them and get some really cool extra content that I don't post anywhere else! So, if you like my work, throwing in a buck if you have one would be super cool and would go a long way in ensuring that I can always keep doing this. Here are all of the rewards I'm currently offering! I'll be revamping this really soon, but honestly there isn't anything I could ever do on here that would really express just how much I appreciate your support. ●Your name will will appear in the description of every video I create, and I will thank you personally in my next video! ●I will thank you personally in my next video! ●I will thank you personally in my next video! !